Humanity has a desire which is old as the fear instinct from lightning. That is; producing products which contains endless energy. That desire combined with technology and let us giving energy to our new lightning protection systems. Onay R&D departments patented piezo ion generator technology takes it’s power from wind and kinetic movements. It protects you effectively with the ion column which it had produced. 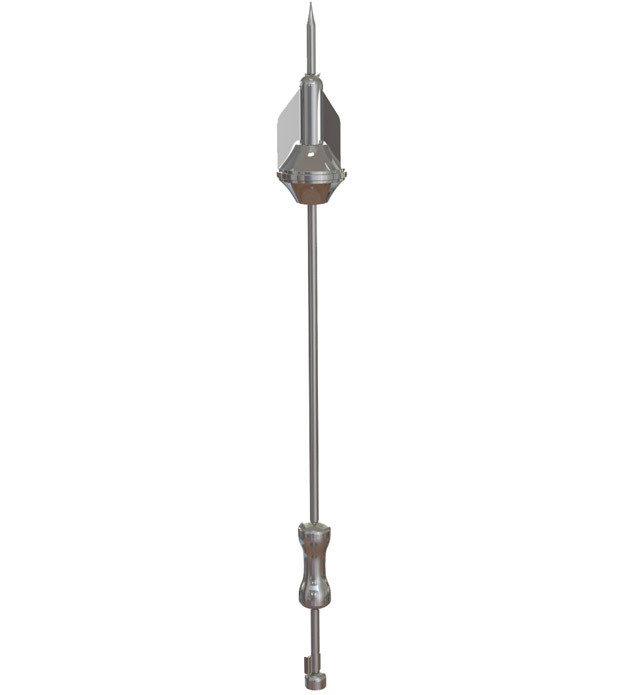 Lightning rods rotating head raises protection level to a new phase. This model is designed to combine power of ESE and Piezo ion generators and give you more powerfull lightning protection. This lightning rod uses piezo crystals with ESE to create a stronger ion column. This power will risethe safety level of your house or facility.